Property 51: Greenwood Lake House with Boat Slip! Property 56: Yosemite Falls - Get Your Nature On! Property 58: Fire Escape Cabin-Fun Fire Department Theme ! 12 miles to Yosemite gate! Property 59: Private 'Buckeye & Boulders' Cabin Near Yosemite! Property 60: Large private house close to Yosemite. In-ground Pool, Spa, and nice views. 10 miles to Yosemite ~ Reserve Early and Save 10% of room rate! Property 61: 10 miles to Yosemite ~ Reserve Early and Save 10% of room rate! Property 67: Our Yosemite Getaway - Get Your Nature On! 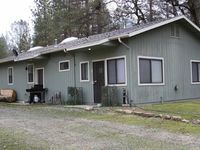 Property 68: Large Beautiful Bass Lake-Yosemite Cabin Sleeps 10! Property 69: INSIDE YOSEMITE! FORESTA, BEAUTIFUL VIEW into Yosemite Valley! Nice Log Cabin! Property 72: The Legacy - Get Your Nature On! Property 76: Wawona Chalet - Get Your Nature On! Property 79: Simmons Den - Get Your Nature On! Property 81: Deer Creek - Get Your Nature On! Custom Cabin with Spectacular Views and Separate Little Cabin Offering, too! Property 82: Custom Cabin with Spectacular Views and Separate Little Cabin Offering, too! Property 84: Private River with Swimming Holes & Close to All Amenities! Property 85: Cozy and authentic cabin in the forest with wood fireplace, walk to town! Pine Creek Cabin - Get Your Nature On! Property 87: Pine Creek Cabin - Get Your Nature On! Deer Hollow - Get Your Nature On! Property 89: Deer Hollow - Get Your Nature On! Cozy, renovated A-frame cabin with two decks & wood stove - walk to town! Property 92: Cozy, renovated A-frame cabin with two decks & wood stove - walk to town! Property 93: NEW LISTING!Rustic cabin conveniently located right by town with space for all! River Song - Central Air Conditioning! Property 94: River Song - Central Air Conditioning! Property 96: NEW LISTING! Rustic cabin with gorgeous views and location close to Shaver Lake! Property 99: Cecil's Cabin - Get Your Nature On! Property 100: Cabin Among the Firs - Get Your Nature On! My family and I had a wonderful weekend at this lovely home. With the indoor pool, hot tub and game room we had so much to do. We really enjoyed everything about this place. We absolutely loved our stay here. The property is very unique. The guest cottage is comfortable and has a nice little kitchen with enough items to prepare food. During our five days we went out to eat only twice. If you don't like animals then you should look for something else. This is a working ranch and we loved having animals around us most of the time. Sheep, donkeys, emus, small pigs, a cat, rabbits and chickens. Yosemite is fairly close. Mariposa is about 25 minutes travel time and Oakhurst around 30 minutes, We are already discussing coming back next year.